A midsize sedan like the Volkswagen Passat should deliver a smooth ride in a comfortable interior and offer peace of mind by keeping you and your passengers safe. So, what does the latest model have to offer? 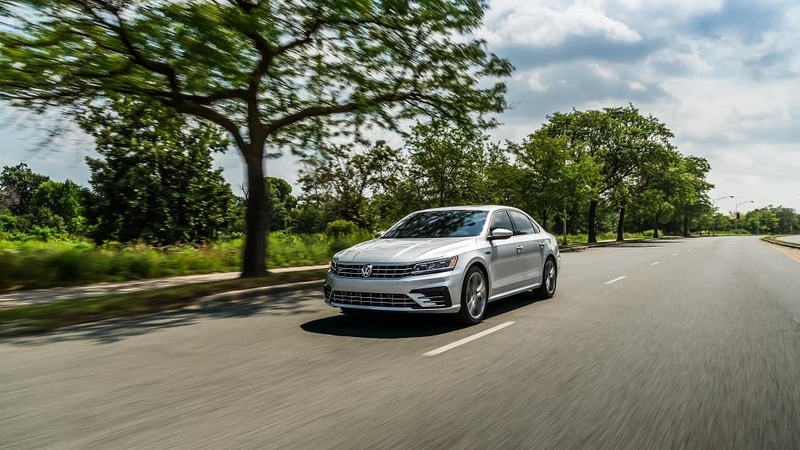 To show drivers and families in Toms River, Brick, and Freehold what to expect from this efficient sedan, Toms River Volkswagen put together this 2019 Volkswagen Passat review. Contact us today to schedule a test drive! Inside the Volkswagen Passat, there’s seating for up to five people. Over its two rows of seats, there’s a total of 102 cubic feet of passenger space. Whether you’re relaxing comfortably in the back or behind the wheel, there’s plenty of room inside to enjoy the ride. The seats have standard V-Tex leatherette upholstery. There’s also standard heated front seats and an 8-way power adjustable driver’s seat. Behind the cabin, there’s 15.9 cubic feet of cargo room inside the trunk. If you need to load more, or you’re carrying longer cargo, you can use the 60/40-split folding rear seats to make extra space inside. On top of being comfortable, the Volkswagen Passat offers peace of mind with a solid frame, an advanced airbag system, and lots of driver assistance features. Even backing up is safer. Whenever you shift into reverse, the screen on your dashboard changes its display to show you what the Rear-View Camera System sees behind you. Plus, the Rear Traffic Alert uses sensors in your rear bumper to detect when another vehicle is heading your way. With its airbag coverage, driver assistance features, and a solid body, the Volkswagen Passat has earned a 5-Star Overall Safety Rating from the National Highway Traffic Safety Administration (NHTSA). Under the hood, the Volkswagen Passat runs on a 2.0L TSI® 4-cylinder turbocharged engine that gets up to 174 horsepower and 184 lb-ft of torque. This works with a 6-speed automatic transmission with Tiptronic® and Sport Mode. In addition to offering a fun, turbo powered drive, this midsize sedan also features an efficient ride with great fuel economy. The VW Passat can get up to an EPA-estimated 25 MPG city and 36 MPG highway[i]. Visit Toms River Volkswagen to test drive the safe and efficient VW Passat. Both drivers and families in Toms River, Brick, and Freehold can count on it to deliver a safe and comfortable drive. To learn more about this 2019 Volkswagen Passat review, contact us or visit our dealership. [i] 25 city/36 highway MPG (2019 2.0L, 6-speed automatic transmission). EPA estimates. Your mileage will vary and depends on several factors, including your driving habits and vehicle condition.